Apple has made iOS 10 official – its biggest ever update to its mobile platform and there's a lot to shout about. From redesigned apps and a feature packed Messages app, to more freedom for developers and a smarter Siri, iOS 10 has a lot to offer. It's due for release in the Fall, and going by previous iOS launches that means early-mid September, which is conveniently the same time we expect the iPhone 7 and iPhone 7 Plus to rear their heads. So what does the iOS 10 announcement tell us about the iPhone 7? We've got some answers. OK, this is hardly a surprising one, but if Apple stays true to form – and there's nothing to suggest it won't – the iPhone 7 will be announced early in September, toting the brand new iOS 10 software. This has been the pattern for the past few years of iPhone releases, which means we'd bet our house on this being the case in 2016. With iOS 10 sporting a 'Fall' release date, that all but cements the iPhone 7 release date for the same time. Usually how things work is the iPhone is announced during the second week of the month, and goes on sale the following week. There was even more functionality for 3D Touch during the iOS 10 announcement, which means we can be sure that the new generation of iPhone will also pack the pressure sensitive technology - and very likely have even more sensitivity baked in to get the best out of the new software. Lock screen notifications can provide even more information using the technology, while Apple has also expanded the functionality you get when you press down on an app icon. It could also signal the arrival of a fingerprint scanner beneath the screen, rather than in a bezel below it – a rumor which has been gathering pace recently – but 2016 may be a little premature for that particular tech. Siri gets even smarter with iOS 10, and with its now open source nature we'll start seeing it appear in a raft of third party applications. This could make the iPhone 7 the most talkative handset to date, with Apple hammering home the personal assistant as a key feature. What's more, it's likely that the phone will come with much-improved speakers to make sure that if you're using Siri hands free all the time, you can hear her (or his) dulcet tones from further away and more clearly. Apple's resurrecting its Apple TV remote app with iOS 10 and it's baking in HomeKit control into the Control Center, allowing you to adjust lights, shutters, garage doors, intercom systems and security cameras all from the palm of your hand. Get ready then for the iPhone 7 to be the remote to your life. 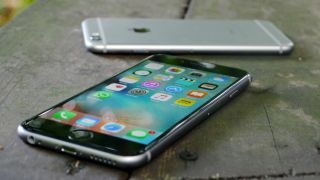 We can see additional life control features through new sensors that are exclusive to Apple's newest handset – encouraging those with older devices to upgrade. With iOS 10, Apple has completely overhauled its Photos app, with smarter sorting, handy memories and the ability to edit Live Photos. It's screaming out for a beefed up camera to really take fully advantage of all the new features, so we're expecting an enhanced Live Photos mode on the iPhone 7, as well as some potentially smart AI behind the scenes to recognize everything in your shot before you even press the shutter. It's still snapping, just smarter.